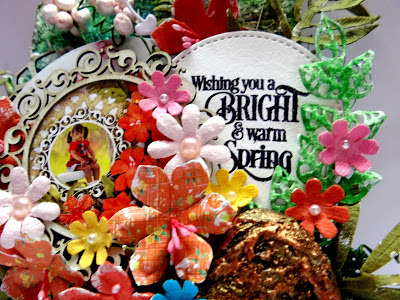 Today I am sharing a Mixed Media Tag and get into the spirit in bright and full colors for the warm welcoming of Spring. I recycled some Old cardboard, fruit basket Mash tulle, used the backing pic from a flower kit backing sheet and focus it as my focal point! Step:1. 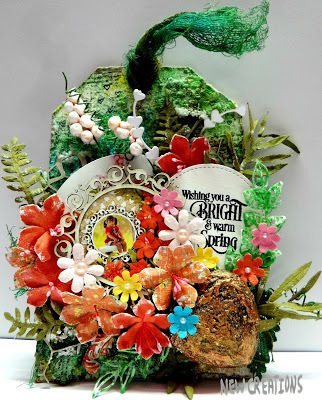 I started with so many recycled objects like cardboard, Nylon-string mash from a fruit basket, backing paper with a pic from the flower medley kit and die cut it! Step:2. 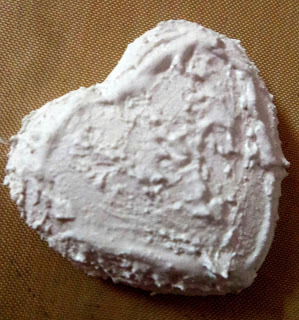 On a thermocol half heart-shaped piece, I coated it with gesso and applied grainy texture paste from my palette knife. And applied a lot of sprays and mediums to it and highlighted it with a rustic gold look! Step:3. 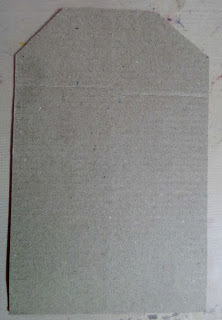 Covered my tag with two coats of gesso. This made it possible for other mediums to adhere to it! 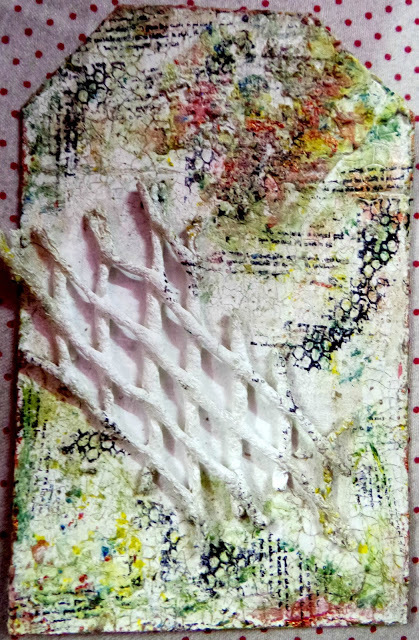 Once dry, Applied a coat of white chalk paint and then two steps crackle mediums( I wanted a thin layer only). You can clearly see the textures in the below pic. 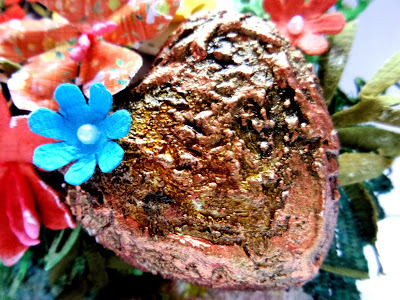 Let it dry for a few hours properly and then topped it with bronze pigment ink. 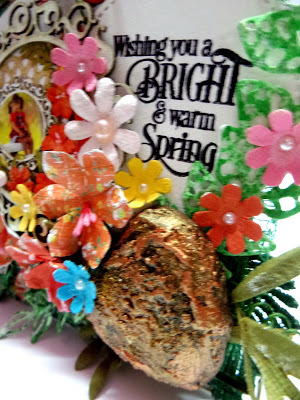 Added lots of texture paste using a stencil with art stones, stamping and mediums! 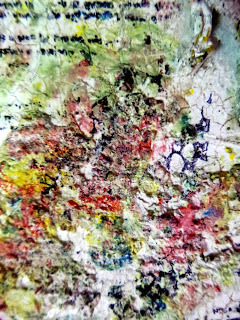 It went on in lumps and clumps and created the coolest surface ever!!! Step:5. Stamped the sentiment on a die cut circle. Die cut some different shaped leaves. I applied spray mists to my cheese cloth and lace too. 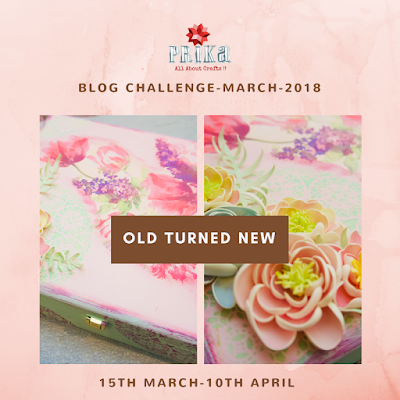 Embellished it with a lot of spring flower kit, chipboard, stencils, ferns, dies, art stones and at the edges of flower, I applied gesso too. 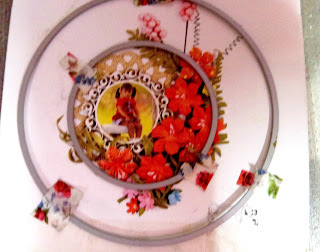 Here are some close-up shots of the embellishments. 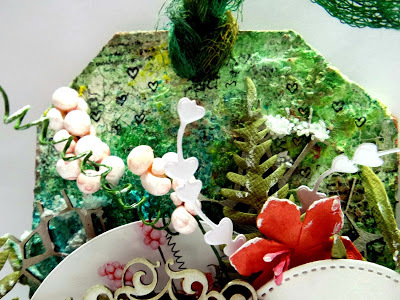 You can see the gorgeous leafy die cuts and heartstring. 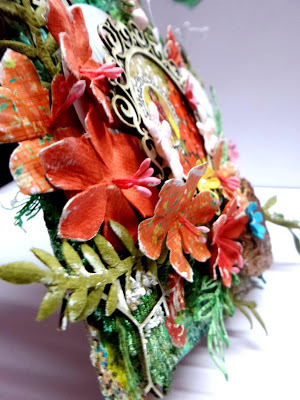 Love how the lace turned out so well paired with textured heart and bright spring flowers to warm this season!